Membran Labs is a music and tech research lab building blockchain and distributed ledger solutions that serve the music industry. This podcast is a discussion between our our developers and others from the tech, crypto, and music industries about what's on their minds lately. Arthur Buczynski and I talk technical analysis and current market conditions. Art explains how some TA indicators are pointing to an end of the bear market. I give the skeptic's perspective on the efficacy of TA, and give my opinion on some fundamentals that on the part of Ethereum and DeFi that might help end the bear market. Medium post with all referenced charts here. In this solo episode I talked about the properties of money and what sets cryptocurrencies apart from other money systems. If you're in Victoria we're hosting a blockchain 101 meetup. Check it out here. In this episode Matteo Leibowitz and I talk about The Block (theblockcrypto.com) and several projects in the Decentralized Finance space including Uniswap, Dai, dYdX, Set Protocol and others. Show notes here. Leave us a review on iTunes. The Block. Twitter: Matteo, The Block, Jordan If you have suggestions for show ideas or would like to be a guest email us. 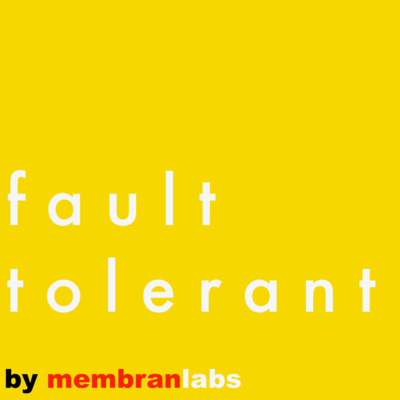 Follow us on Instagram @membranlabs. If you are interested in recording your own podcast, checkout our site. In this episode Eric Showers and I talk about MolochDAO -- the grant giving DAO being developed by Ameen Soleimani. We also touch on DAICOs and the possibility of merging the two into a MolochDAICO. We then go over Ethereum clients, including the differences between full nodes, archive nodes, and light clients. Eric Showers and I talk about the Constantinople hard fork and Grin. We go over all the EIPs included in Constantinople, as well as the re-entrancy bug and the subsequent delay of the hard fork. We also do an overview of Grin and Mimblewimble where we talk about the basic specs of the network as well as the privacy aspects of the Grin currency. On this special episode, we're honoured to have a special guest in the studio - Eric Showers. 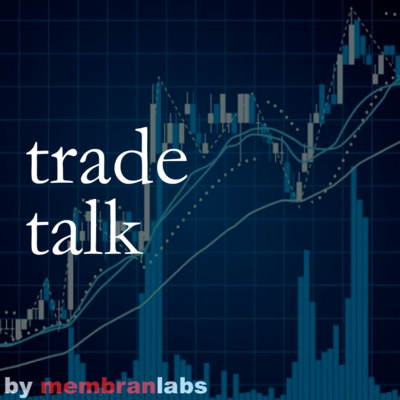 We talk a little bit about how Eric's Crypto experience has been so far, dive a little bit deeper into Ethereum, and as always, some trade talk. Trade Talk w/ Art & Zach: alt coin activity, bitcoin stability, Stellar. Dino Celotti: MembranLabs, Blockchain & the Music Business. This Friday, we address the bear market, the Bitmain IPO, upcoming changes to MetaMask, chat about cars, and Eric's work in local meetups. Chat with us on slack: https://vicblockchain.now.sh/ Stockcharts info: https://stockcharts.com/school/doku.php?id=chart_school:chart_analysis:chart_patterns Bitmain IPO: https://www.coindesk.com/crypto-unicorn-bitmain-weighs-18-billion-ipo-one-of-worlds-largest/ MetaMask breaking changes: https://medium.com/metamask/https-medium-com-metamask-breaking-change-injecting-web3-7722797916a8 Tesla going private: https://www.tesla.com/blog/taking-tesla-private?redirect=no Have a great weekend! Tyler and Arthur discuss Crypto prices, the role of money, browser mining, and other blockchain topics.